Experience the great tastes of Texas with these favorite Texas Gourmet Foods from the Texas Hill Country, part of our Texas Gifts collection. Choose from jalapeno jelly, black bean and roasted garlic salsas, sweet hots jalapeno dulce, and pecan barbecue sauce from Texas Wild Foods. Or choose our fair trade all organic 100 % Arabica roasted Texas Arabican Coffee in different size gift containers. We offer custom packed one pound coffee gift bags in a metallic red or copper color for a seasonal event. For larger offices, check out our five pound bags of Brazilian grown Arabica coffee. In addition, we offer western style serving dishes and handmade hardwood cutting boards with Texas styling to help with food preparation of those fajitas, salads, and barbecue dishes. 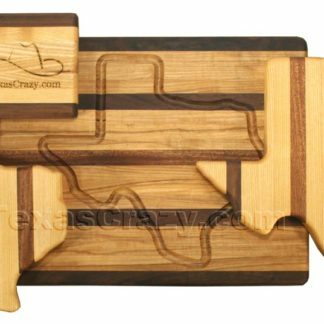 For more details on our Texas themed gourmet foods for all your Texas style entertaining or gift giving needs, click on any picture.